I seriously can’t believe I’m writing my final blog post for #IS6621. It seemed like reaching this day would take an eternity at the beginning of the semester! …in the best way possible. I had the privilege of going on TechTrek this past May, and Professor Kane came along with us on our field study to Silicon Valley. Not only did I get to know him well, but I also got a feel for our Social Media class. I immediately sensed his passion for the class when I asked questions, which naturally got me excited for the fall. That all changed on the first day of class. This kind, passionate person I met on TechTrek was now aggressively saying things like, “this is not your traditional class,” “this class is NOT an easy A”, and “you WILL be lost.” How dare he? While I admit I was even a bit scared myself, I couldn’t be happier that I took on the challenge. And thankfully, I saw through Professor Kane’s “two-faced” scare tactic and learned that it was a way to set expectations high and replace uninterested students with ones on the waitlist. Phew. Prior to #IS6621, I owned two Twitter accounts — and I used neither. I personally didn’t see any personal, academic, or professional value in the platform. However, my perspective drastically changed after the first week of tweeting to #IS6621: my Twitter feed was filled with really interesting and relevant information, all shared by my peers! I am excited to follow #IS6621 posts from next semester’s students — maybe I’ll tweet a couple times at the beginning to confuse the newbies. I’m sure that I stressed just as much as the rest of the class when it came time for our first blog post. I’ve never written for a formal blog site before, and the pressure of being evaluated not only by my professor but also by my classmates was nerve-racking. However, I took the opportunity to write about different passions of mine, areas of interest, and even do in-depth research into new subject areas relating to digital business. Not only did I feel quite proud after publishing each blog, but I felt that I was learning and evolving along the way. In the spirit of the social media aspect of class, I shared each of my blog posts on my Facebook and Twitter accounts shortly after posting. While I truly loved reading the comments from classmates, I also enjoyed the reaction from family and friends on social media. As you can tell, my mom (left text) might miss them even more than I will. Hey #IS6621: I’m among those bringing snack to Wednesday’s class, and am wondering what you’d all like most. Vote below! I’m not exactly sure what I was thinking when I opened up my snack choice to the class as a Twitter poll, but ask and you shall receive. Making over 120 quesadillas was no easy feat, but it ended up being a ton of fun, and people seemed to enjoy them. Just ask my Lyft driver — he ate one while en route to campus. The price of Bitcoin has more than doubled since our first day of class, and it has no signs of slowing down. 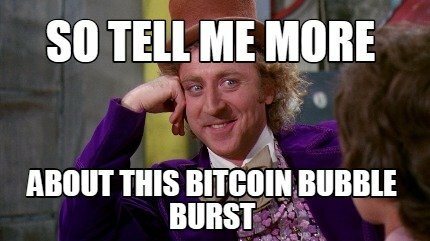 However, as with most of the class, I am still convinced that Bitcoin is a bubble. I’m very curious to see how the cryptocurrency industry pans out over the next few months. Who knows: it might just prove us wrong! As I’m enrolled in three once-a-week classes this semester and have taken many 2.5-hour classes during my time at BC, I was hesitant about my classes dragging on. I am astonished at how the structure of a class can make or break the entire course. Perhaps snack time had something to do with it, but I’ve never enjoyed the layout and depth of interaction in a class so much as I have in #IS6621. Time truly did fly! Some personal favorites include @joonkimisys‘s account of serving in the South Korean army, @kaitlinardiff‘s post of being on crutches for five weeks, and @chloeshepard18‘s story about a high school friend dying from a drug overdose. On the surface, the connection to social media and digital business don’t seem apparent. And yet, the valuable message behind each of them in the context of our class is what makes stories like these so memorable. This didn’t stop in blogs, either — there was plenty to be learned from our classmates during class discussion as well. In our first class, we read “The Wisdom of Crowds”. 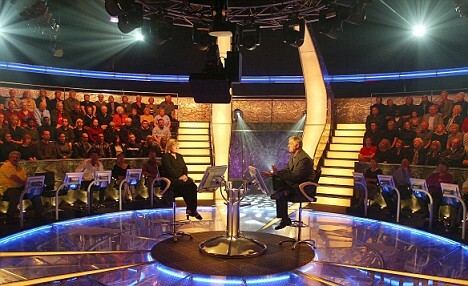 Studies from this reading show that while a “phone a friend” lifeline answered correctly 65% of the time in the TV show “Who Wants to Be a Millionaire?”, the studio audience answered correctly a shocking 91% of the time. This phenomenon best explains how “the many are smarter than the few”. In essence, we learned how four conditions which are attributable to success are satisfied in the group dynamic: diversity, independence, decentralization, and aggregation. In addition to “Millionaire”, we identified that stock market predictions, election predictions, and content on Twitter are also made better in group performance rather than by a single person. It just can’t be stopped. We discussed at length how Facebook has pivoted many times — and yet, they always get it right. Thanks, Zuck! In the JK Wedding Entrance Dance video that instantly went viral (and made even more famous by The Office), Sony had an important decision to make. As the representative of “the Artist behind the Song behind the Video”, Sony ultimately claimed the song to protect its future legal rights, which was a win-win for the couple and then-disgraced Chris Brown. Thanks to guest speaker Professor Kabrina Chang from Boston University, we learned about the First Amendment, its influence on free speech online, and how the law operates at “a snail’s pace”. At the beginning of each class, there’s no doubt one of these three companies came into the Twitter discussion. The same goes for blog posts and presentations, though I suppose I’m partially responsible for that with my Amazon Prime presentation. It’s amazing how much we learned about social media and digital business from these three companies alone! I’m excited to see what the next semester, year, and beyond brings in the world of social media and digital business. I feel incredibly lucky and thankful to have taken this class and work with such an intelligent group of students. Until next time, #IS6621! So many great conclusions!! We all learned so much this semester but the craziest thing is that pretty soon, most of what we learned will be outdated. I too am so excited to see what is coming next. Also, thank you for sharing Professor Kane’s TED Talk! Great post Matt. I really enjoyed the format of this post, as you broke the semester down into small, memorable chunks and rehashed your key takeaways. I really enjoyed your quesadillas so thanks for making em. I agree that the class structure of this course is what makes it so great, and really enjoyed all of our conversations along the way. Great Post, Matt! I totally agree with your lesson #2. I never liked Twitter until I took this course. This course forced me to use twitter and it allowed me to realize that twitter is actually an extremely useful social media platform. It is helpful for keeping up with current events and other news trends. Twitter is a second by second way to keep up with what is going on. You can also look up any topic that you are interested in and see what is going on with it and what other people’s opinions on the topic are. Great post. Two responses: 1) I’m only two faced in the beginning because the *right* students drop the class. If lazy people had stayed in, they would – in fact – have hated the class and gotten a bad grade. I put it into the “self fulfilling prophecy” category. 2) Funny that your mom read your blog posts!